The film version of the excellent Uncharted series (it’s Indiana Jones for video gamers) has been in development hell for years. The most recent talk has had actor Tom Holland placed as the lead, Nathan Drake, in an origins movie. 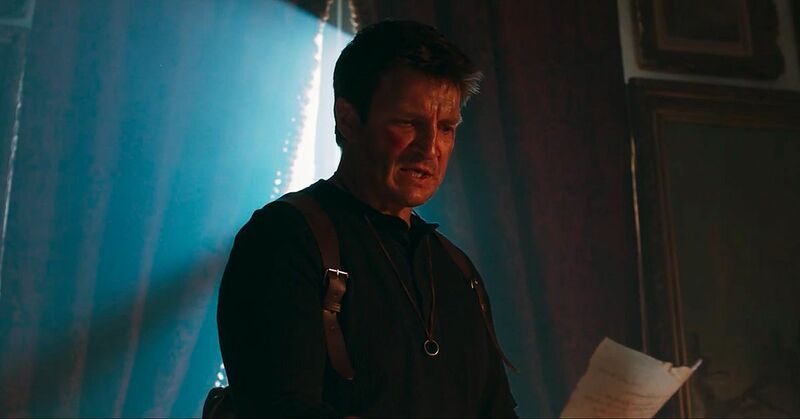 In the meantime though, Nathan Drake doppelganger Nathan Fillion has appeared in a big budget independent send up, with Stephen Lang as Sully. This is pretty much as good as it gets, as far as video game adaptations go. This comes from filmmaker Allan Ungar, who co-wrote the short with Jesse Wheeler. Surprisingly, in a matter of hours, this video has been watched 183,000+ times, rising at an apparent rate of 60,000 views an hour, with an astonishing 30,000 likes to 148 dislikes. When I first looked at the video with 110,000 views, I’d wondered how it had been online for days or weeks without having known about it. Of course, it was just uploaded today. If the official movie with Holland isn’t as far on as they say and is still in development hell like the O. Russell/Wahlberg version, this one might just intercede it. Let’s hope it does anyway.